We know that Sony's UK category development manager, Paul Genge, has its company's best interest at heart when he speaks ill of the competition, but calling the Nokia 808 PureView "development announcement" is bound to raise some eyebrows. He said that the Japanese have been using the pixel zoom technology of the PureView 808 in their commercial cameras for a year now, so the technology isn't anything new. One thing we might get on board with Paul Genge about is the "retail solution" part - while Symbian Belle will do the job, the vast majority of potential Nokia customers for this 41MP cameraphone wish the PureView Pro technology were housed inside a Nokia Windows Phone device. There is no point in prejudging before the actual device gets in the hands of our reviewers, though, so we are patiently waiting. SONY SAID "NOKIA 808 PUREVIEW TECHNOLOGY ISN'T A SUPRISE TO THEM BECUASE THE TECHNOLOGY IS ALREADY USE BY THEM"..... NOW THEY ARE USING THE FLOATING TOUCH IDEA WHICH IS ACTUALLY NOT SURPRISING TO NOKIA BECAUSE IT IS ALREADY FEATURED IN NOKIA N9... SO WHO IS THE BEST? No deal is big enough if done by the competiter. To criticize is easier than to accomplish. I saw another Stephen Elop. Either this guy really didn't get it or he just purposely downplays value of this PureView technology. Sony used some kind of pixel binning in their new cameras, however they were not smart enough to use it to it's full potential. Actually they are only combining some pixels to get better light sensitivity while in digital zoom. But who's using digital zoom (which si degrading quality) on dedicated cameras if there's optical zoom already ? So basicly they just improved a function, which isn't used by people anyway. Great achievement! --- On the other side Nokia's PureView is using "pixel binning" while in non-zoomed mode, increasing light sensitivity in regular shots (and afaik even in partially zoomed shots), which results in significantly less noise. 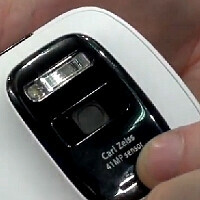 And most importantly, this PureView allows you to zoom digitally without losing quality. Is the sensor an actual 41Mp chip? or just scaling of 8Mp or something? It is actual 41Mpx sensor not scaling. It's a camera with a phone on it. Not a cameraphone the hardware is lacking on the phone side. So until they actually put some real phone specs with it It's a no go I'll stick with 8mp dual flash on my sensation and just download camera360 to improve quality on already high quality piks. There's nothing lacking on phone side, actually 808 is even better phone than Androids. There's Symbian which is much more energy efficient. When you will need to call emergency and your Android will be out of energy you will understand. 4 CPU cores and superhigh display resolution have nothing to do with "phone side". You probably live on some other planet, because Symbian is still the most used mobile OS in the world, even if it's share is declining. to Jphones: Have you ever USED a Nokia 701 with Belle FP1? If you have then you wouldn't be so negative. I ditched my Lumia 800 for a Nokia 701 and haven't regretted it. Just the fact that the 701 is louder alone made it worthwhile. I have both a GSII and a N8, Belle is far way behind Android! Please explain for me. Don't you dare say it doesn't have Angry Birds. He didnt say the Belle phones were better than Android. Simply that the Belle phones are decent performers. I love my Nexus, but I personally would rather use a 808 PureView than say an iPhone, but thats personal preference. Explain for me please. I had a Lumia 710 for a month and gave it to my gf. I really liked it and it did everything every other phone I've had did. Apart from apps please tell me what is behind. I use a BB 9900 so enlighten me. to andro: unfortunatly the SGS2 cannot (automatically) record incoming and outgoing phonecalls (even when routed over bluetooth headset) and hence is useless as a professional communications-tool. The same applies to WP7-phones (including Nokia's own Lumia's), iPhones and Bada-phones.